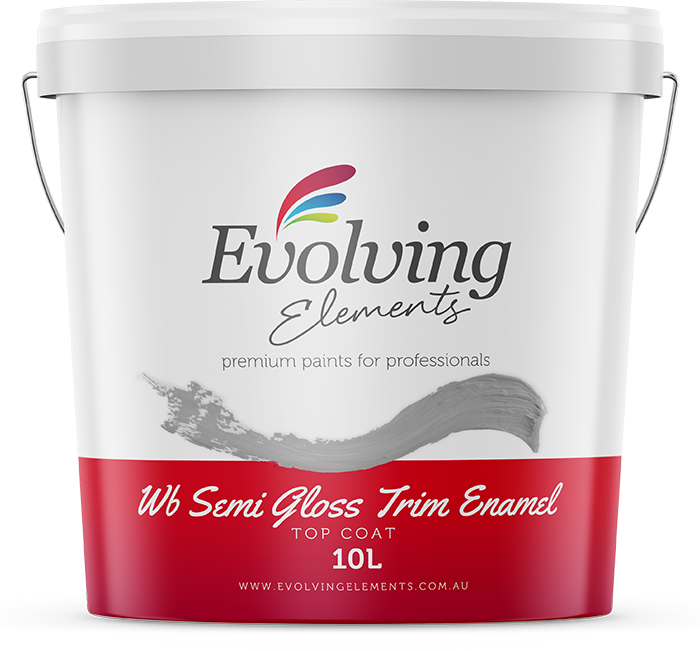 Evolving Elements Ultra‐Premium Water Based Semi‐Gloss Trim Enamel protects and accentuates all your interior & exterior trim for beautiful, long‐lasting results. This tough and durable water based enamel paint is easy to clean and gives a resilient, reliable, wear resistant, non-yellowing coating, providing complete protection. It is ideally suited to interior and exterior surfaces, especially doors, trim, window frames and primed metal surfaces.